This mornings Service Call: Replace existing 60cm dish with new 80cm dish. We received a call from a client to say that she had recently had a service call for her DSTV but that the system was still not working correctly. We climbed onto the roof and inspected the Dish and LNB. We found that the existing LNB had been taped up, but it was clearly old. Installed at least 5 years ago. 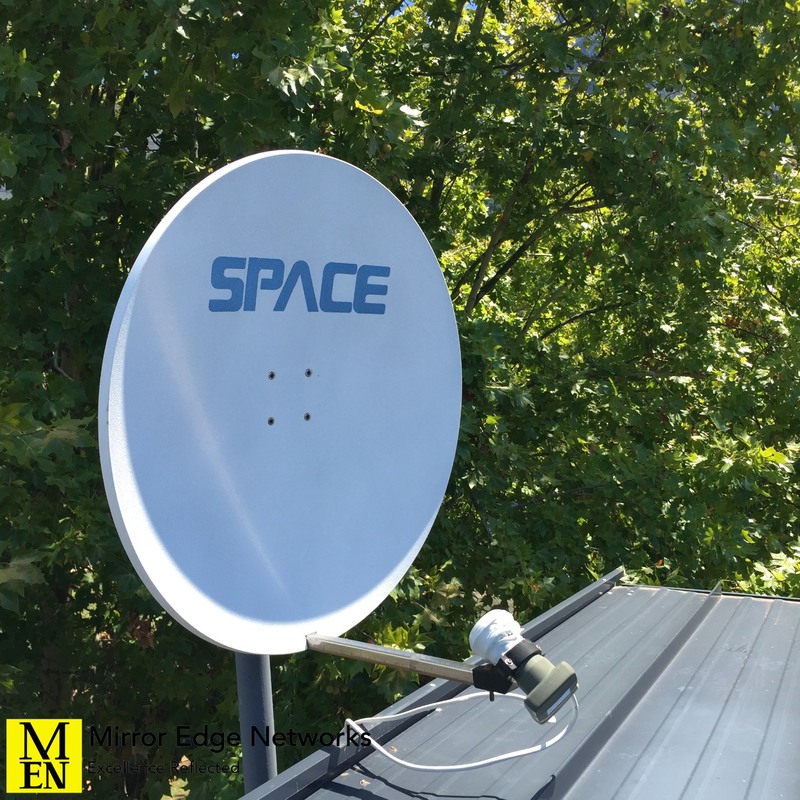 Our client had upgraded to two no HD Decoders, so we decided to replace the dish with a new 80cm dish with a new LNB. The signal quality and strength increased substantially. Strength: from 60db to 90db. Both high definition decoders are now working well. If you need a service call to your DSTV installation, give us a call.